The Virginia Sexual & Domestic Violence Action Alliance (Action Alliance), Virginia’s leading voice on sexual and domestic violence for more than 30 years, accepted a donation of $57,535 from Governor Terry McAuliffe in support of ending sexual and domestic violence and sexual harassment statewide. 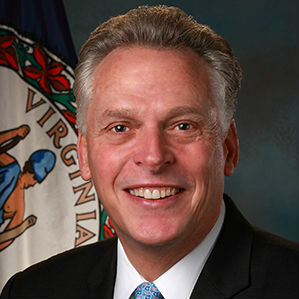 Governor McAuliffe – who has taken a strong stand on issues of sexual and domestic violence since he took office in 2014 – is further demonstrating his support for victims and survivors in the Commonwealth. In addition to his leadership, the Virginia General Assembly has consistently increased funding to address these issues and demonstrated it is a top priority. The commitment and support Governor McAuliffe and the Virginia legislature have shown on these issues is truly life-saving. “Governor McAuliffe’s donation demonstrates a commitment to justice and safety for citizens. It is particularly important for public figures to stand up and take action on these issues” says Kristi VanAudenhove, Executive Director of the Action Alliance. VanAudenhove continues, “Governor McAuliffe taking a stand against sexual harassment serves as a reminder that efforts to achieve equity and justice in our Commonwealth must address the full range of behaviors that constitute sexual violence”. To learn more about the Action Alliance’s response and prevention efforts through training, public policy advocacy, public awareness, and technical assistance to professionals, visit www.vsdvalliance.org or @VActionAlliance.